Business communications have changed a lot in the last few years, and the landscape will only continue to change in 2018 and beyond. These changes are important to stay on top of if you want to maintain or grow a competitive advantage. Things like 5G mobile networks and artificial intelligence have the potential to be extremely disruptive. 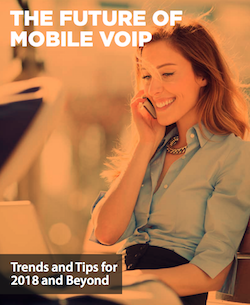 Learn more about all of this in our report on The Future of Mobile VoIP.